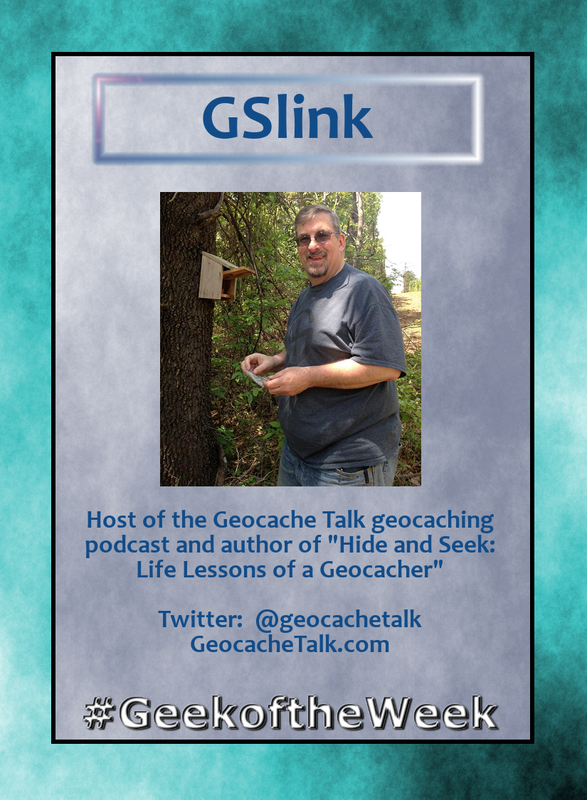 And now LANMonkey's Geocaching Adventures proudly presents the next Geocaching #GeekoftheWeek - gslink! gslink - also known to listeners of the Geocache Talk podcast as Gary Slinkard - has over 160 geocaches placed, and over 1,000 found. Most notably in the Texas Geocaching community, Gary annually hosts "The Great Hunt of Hunt County" geocaching event. Most recently, Gary has joined the ranks of Geocaching authors with the publishing of his book "Hide & Seek: Life Lessons of a Geocacher." Follow the link to check out more about his book on Amazon; available in ebook and printed copy. Gary has worked in IT for over 25 years and lives in Greenville, Texas which is just an hour east of Dallas. He grew up in San Antonio Texas and anyone who's heard him on the weekly Geocache Talk podcast Sunday evenings can attest to the fact he is indeed a Texan! Gary loves to travel and will often be found on a #GeocacheRoadTrip with his wife of 28 years, "SlinkyMama." Combined with his Geocaching activities, Gary has also been participating in Weight Watchers for the past two years and has lost 100 lbs! However, even more importantly than their accomplishments in Geocaching, writing, and podcasting, gslink and SlinkyMama are the proud parents of three sons; Joshua and Caleb who are 27 and Nathan who is 21. You can catch Gary every week on the Geocache Talk podcast and watch him live on YouTube Sunday evenings at 6:00pm.